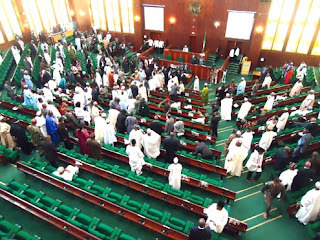 Members of the Peoples Democratic Party (PDP) and the All Progressives Grand Alliance (APGA) at the House of Representatives, on Tuesday, staged a walkout during a plenary which was held under rowdy atmosphere. This was not unconnected to the decision of the Speaker, House of Representatives, Yakubu Dogara, to align with his All Progressives Congress (APC) members who were in support of the defection of a PDP member, Hon. Nnana Igbokwe. Hon. Igbokwe, a member representing Ahiazu – Mbaise/Ezinihitte federal constituency of Imo State, had announced, through a letter to the speaker, that he was leaving the umbrella party.